It appears that you were in fact scammed. For one thing the website you listed is only a tad over a year old. 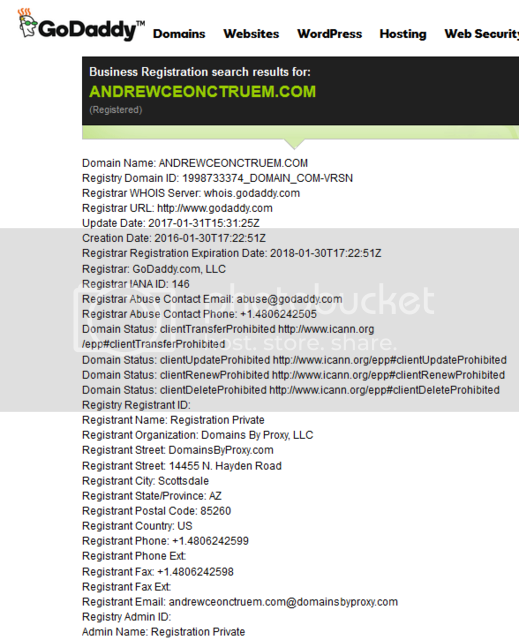 The website also is using a private registration service (Domains by Proxy) to hide who they really are and where the are located. Notice that there is no address or phone number, just a link back to the website. You could give them a call, but I wouldn't be surprised if they have no idea what you are talking about. That is mainly due too the lack of responses to a Google Search for "Andrew Ceonctruem". There are actually less the 40 returns and almost all of them are only a year or so old at most. And just in case you didn't notice his books are not actually listed on Amazon, there is actually no product there to buy. Last edited by nomaxim; 02-28-2017 at 09:13 PM. Post #34 from original thread. 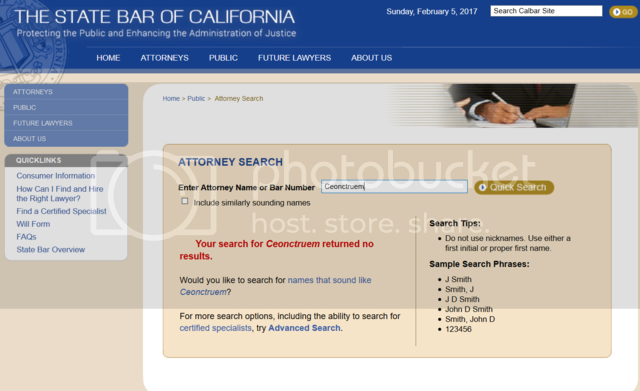 This got me curious so I started searching public records using sites like Intellius, Zabasearch, court and property records in California and such. I have so far been unable to find a "Andrew Ceonctruem" anywhere in California or in the US for that matter. In fact, the last name "Ceonctruem" doesn't appear anywhere in the US that I can find. So, it appears to be a pen name at best and a made up name at most. The Icelandic alphabet contains 32 letters and I'm afraid that the letter "C" is not actually one of them. The letter "C" is used in Iceland in foreign words and can be used in family names of mainly foreign origin. However, Icelandic does not use a "'" except in the use of some vowels, á, é, í, ó, ú, and ý. So, Ceon’Ctrue’m does not appear to be a name of Icelandic origin. My guess would be Gaelic, think Ireland. In fact, neither spelling even gets any returns with the Iceland phone book. You would think that a marketing genius of 25 years with such a uniquely spelled name would show up somewhere on the internet over the years. Oh, someone using that name and linking to that website did get banned over at warriorforum after only three days almost a year ago. Last edited by nomaxim; 02-28-2017 at 09:17 PM. Post #37 from the original thread. I wired funds directly to his fake real estate company IMS LLC. What do you mean by 'wired'? Do you mean something like Western Union or MoneyGram? Or do you mean like a bank transfer? Last edited by nomaxim; 02-28-2017 at 09:24 PM. Post #39 from the original thread. Well, at least a bank transfer can be traced somewhat. I'd recommend consulting a attorney about the matter. Most likely you'll have to sue to recover any funds. If you can track them down that is. Note that the OAG cannot represent you in a personal legal sense. You'll need your own lawyer for that. No attorney by the name 'Ceonctruem' is licensed in California. Last edited by nomaxim; 02-28-2017 at 09:11 PM. Notice that there is no address or phone number, just a link back to the website." Sorry, for inserting the wrong image file there. Post #56 from the original thread. Lionel Ong contacted me. He asked me to help him take this thread down. He is the same person as the alleged scammer? He contacted me also. Asked if I wanted money to take a thread down. LoL. I told him that his request was denied. From what I understand a Lionel Ong is the either the thread starter 'Angelstar1974' or an acquaintance of theirs. Definitely the work of a scammer there trying to silence complaints.